This is one of the most important blog posts that I have wrote and the reason for this is because if you see the value in it and take action, it could possibly be one of the best decisions you have made in terms of your “SEO” success. Today I want to share two things with you. The first is a neat little case study from one of my subscribers who beta tested my Social Link Machine plugin and got some interesting results. The second is an in depth view of the sales funnel so you know what to expect when you take that all important step and invest in Social Link Machine. It was just provided to me last night by a guy called Albert who I have actually personally met twice at TWO marketing events here in the UK. He basically got a copy of Social Link Machine to try out so he installed it on a DEAD “auto blog” site and setup just a handful of accounts. So, bear this in mind… He didn’t even utilize all the accounts that the plugin can post to. He left it running and forgotten about it. 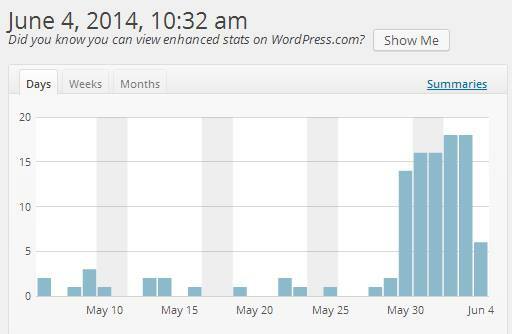 Over the last week he had noticed a BIG traffic spike to this previously dead and inactive blog. In his own words he said “The blog is a completely dead low quality blog with less than 60 pages indexed in google with over 5000 posts on the blog“. Just by utlizing a handful of the available platforms, Social Link Machine has to some degree “resurrected” this old dead blog and brought some life back to it. As you can see there is a “near enough 1,000% increase in visitors due to Social Link Machine working its magic. What’s more impressive is that this was a dead blog. How many of you are sat on old dead auto blogs that are gathering dust? How much better do you think these results might be if Albert adds the rest of the platforms? I think this is pretty impressive… and it was achieved “hands free”. Ok, I want to be as transparent as possible here so you know exactly what to expect if you choose to invest in Social Link Machine before we take it off sale shortly. When you buy the front end version you are able to add 12 platforms which you can syndicate your content to and drip feed backlinks and social signals to. Once you setup your accounts the plugin is completely hands free and you can literally forget about it. With the standard version it will also PING all of your new backlinks and newly created posts on these platforms although this can be enbaled or disabled as you see fit. Another great feature is our Backlinks Indexer integration so if you have a Backlinks Indexer account / subscription then you can utilize that and the plugin will send ALL your new backlinks and URLs as soon as they have been posted to your Backlinks Indexer account. This not only gets your new links indexed quicker, but also builds 2nd tier links to your “backlinks”. Creating a natural, powerful linking structure. 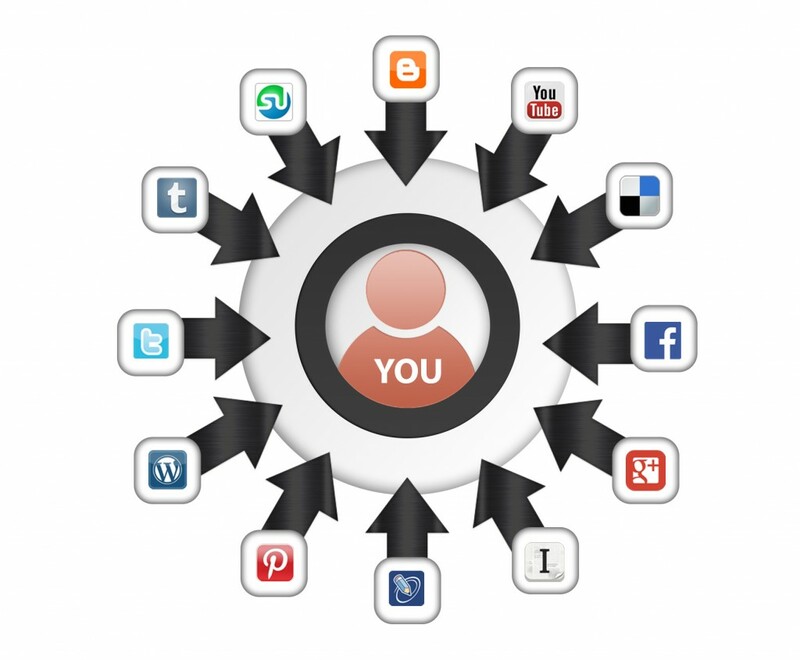 After investing in Social Link Machine you are able to look at our Pro version. Although you “DON’T” need the Pro version to get results… It does offer even more power and benefits. With the Pro version you get an additional 10 platforms. In fact, it is actually 11 additional platforms but we have only publicised 10. 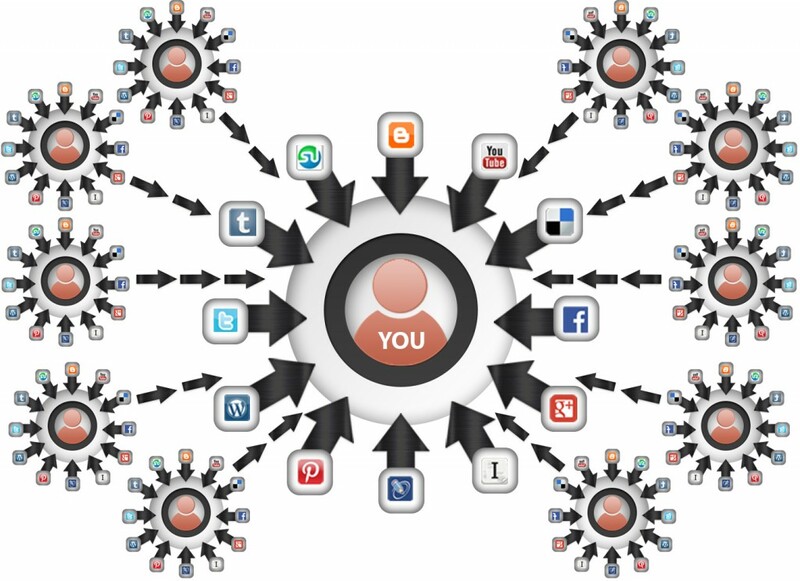 This gives you access to 23 x web 2.0 and social platforms in total. This means more backlinks and more social signals… all drip fed to your inner posts, pages and content. The Pro version also offers the ability to add unlimited accounts for EACH platform. This means you can choose to add say 3 x Twitter accounts and 4 x WordPress accounts which the plugin will be able to post to. This again increases your backlinks and social signals by allowing you to build a bigger private network. Last of all with the Pro version you also get DEVELOPER licencing which means that you are able to install the plugin on client sites if you choose to do so. This second upgrade is REALLY special. It basically allows you to share user accounts. This means that you have an option to SHARE specific accounts with the other users who also take up this option. So what does this create?? It creates a HUGE growing PRIVATE, hidden network of web 2.0 and social accounts. The results? Potentially hundreds or even thousands of natural, drip fed backlinks and social signals from a forever growing network of sites and accounts. This upgrade is extremely powerful and one that near enough all buyers are taking advantage of. It opens up a new realm of possibilities in terms of SEO and backlinking. Again… It is purely set and forget. You can let the plugin work away each day on auto pilot to a schedule that you have pre-set. Tomorrow the prices go up. On Tuesday 10th June at 10am EST Social Link Machine will be taken of sale and will not be available until a future date. At the minute I do not know when that will be but what I do know is that it will cost a LOT more money. I urge you to invest in this plugin as it will take care of a huge part of your SEO in terms of driving traffic and increasing the rankings for your sites, posts and pages. To get your copy today, click on the buy button below and I will see you on the inside.